The Limitless Hextron Tank is a masterpiece in both form and function. LMC (Limitless Mod Company) is an American company that is renowned for exceptional quality and innovative design. It’s compact form produces incredible flavour and clouds of vapour. It measures 24mm across by 43mm in height with 2ml liquid capacity (TPD Compliant). The stylish design sees the Pyrex glass tank pairing with a semi-open stainless-steel frame with an intricate design. This not only looks stunning but is designed to make fake reproductions very difficult. • Design: Adjustable airflow control on the base of the tank. Stainless steel glass guard. 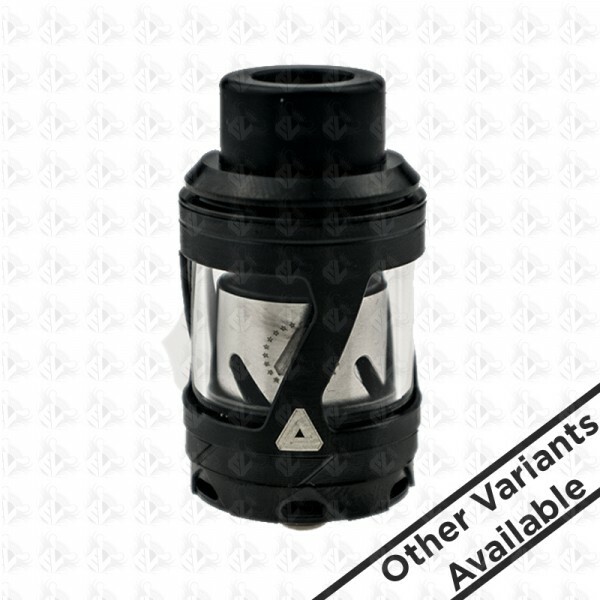 • Accessories: Full range of coils, drip tips and other accessories. See the “Accessories” tab above.